The two main characters in Winter’s Tale are Peter Lake – a kind hearted criminal on the run from one of his former gangs – and Beverly Penn – a consumptive girl who Peter meets and falls in love with while attempting to burgle her home. During another of his escapades Peter also encounters a mysterious white horse that becomes his guardian. The main magical theme of the novel is Peter’s strange knack of being able to sense and see things that other cannot. There is also an element of time travel and the ageless theme of mortals disappearing into the fairy otherworld, re-worked in a thoroughly modern manner. However, eclipsing almost everything else in the novel is the bond between the three central characters – Peter, Beverly and the white horse, Athansor. It is a bond that spans both time and worlds and it is only one of the many beautiful aspects of the novel. Some now find Helprin’s prose a bit dense and dated – the book was written in 1983 – but for me the book has never aged and remains a perfect, timeless fairytale of New York. 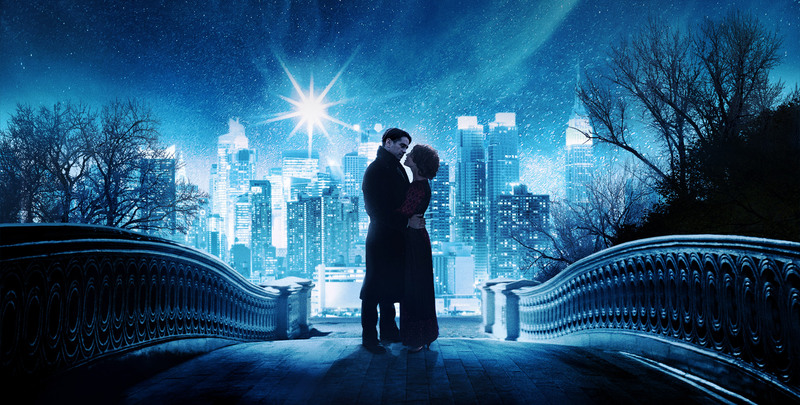 Winter’s Tale probably most accurately falls into the sub-genre of magical realism rather than out-and-out fantasy. The turn of the century New York in which most of the action takes place is described evocatively and almost everything is shot through with magic and fantasy – so that even the most realistic scenes are tinted by the background presence of magic. In many ways Helprin’s novel feels like it was actually written long before the eighties, and has the old world charm of a book from the nineteenth century. There is no doubt that the writer takes his time unfolding the story, which moves considerably more slowly than books that many modern readers will be more familiar with. This has led more than one potential reader to abandon the novel at an early stage but I really do feel that this is a book worth persevering with for the pleasure and meanings than can be imparted not just on a first reading, but on multiple readings thereafter. Helprin puts something gorgeous, profound and soul-pleasing in every single paragraph, if not every sentence. There’s a glowing, resonant, orchestral familiarity in each romance, each caper, each heartbreak in this book. This is a rare form of escapism – one that you’ll almost certainly find just once a year, so what better time to read Winter’s Tale than now? Happy Christmas from Fabulous Realms! This sounds like a must-read. It’s a while since I’ve read something slow-moving. That’s the modern story-writing paradigm, I suppose. Since I believe this is the supreme novel of American magical realism and have written about it on my blog too, your commentary interested me. Its size is daunting for some, but I reveled in the intricacies of plot and the richness of its language and thought. I’ve read it twice and intend to read it many times more. Your idea of it is an annual December read is a great idea.